"Honest," "hard working," "straight-forward," "responsive"... are just some of the words my clients have used to describe me! I have done business with Courtney over the span of almost a decade. She has always put her clients’ needs above anything else. She is knowledgeable, courteous, and diligent when it comes to servicing her clients. She also has vast experience in the industry, whether it be in resale, new home construction, investment properties and marketing. She also strives to let the experience as least stressful as possible for her clients, using her due diligence to make sure her transactions run as smoothly as possible. I can also guarantee that no one will work harder for her clients than Courtney when it comes to finding the best deal! I will continue to use and refer Courtney for all my real estate business! Thanks, Courtney! Courtney Way and her team are literally the best! I met Courtney 5 years ago when I was in the market to purchase my very first home. I had worked with someone previously and it felt like I was bother, but not with Courtney. She immediately started to work with us and made us feel very welcomed. She was patient with us, and yet when it came to looking at homes and putting in an offer she was on it! She definitely took a chance on a young couple and supported us every step of the way. When my sister was in the market for her first home, Courtney came to the rescue! She treats you like family and that's something that we value in someone, because you know they genuinely care. It's not just a sell for her, she wants to make sure you get everything you want and more. Fast forward 5 years later, we decided it was time to sell our home and search for our forever home. I knew I had to reach out to Courtney again. With the help of her fabulous team, a week late, we put our house on the market. After 2 months, we sold it and bought our forever home! So, if you're in the market for a new home or want to sell, Courtney is your gal! Hands down, she is the very best! I had the pleasure of meeting and working with Courtney when my best friend was searching for a vacation home in La Quinta, California. Even though Courtney lives and works in Sacramento she made a special trip out for her client to lead us on the home search. Courtney is kind, attentive, supportive and very helpful. It is important to have a trustworthy agent on your side when making such a big purchase and Courtney is a great realtor for all real estate needs. Courtney was incredibly supportive during the process of purchasing our first home. Her knowledge and experience as a Realtor was apparent while offering guidance and advice when submitting and negotiating offers on homes, obtaining inspections, developing contract contingencies, and working with mortgage companies. Additionally, Courtney KNOWS Sacramento. It was helpful having frank discussions about what we were looking for in neighborhoods, housing amenities, style, etc., and what we could find where and for how much. We also appreciated Courtney’s flexibility in adapting to her clients' personalities. We wanted Courtney to be direct and real with us regarding our expectations, and she provided us just what we needed. First time home-buying is an emotional process, and Courtney totally supported us through that process as well. If you're looking for a Realtor who offers it all, knowledge and expertise of the market, emotional support, experience as a Realtor, insights into neighborhoods and home styles, and advocacy for her clients, they I would HIGHLY recommend choosing Courtney as your Realtor! Oh, Courtney's background is also in interior design, so her suggestions and ideas for decorating and designing home environments are awesome! Courtney was my agent when I sold my home several years ago. She was again my agent to buy our dream home this year. 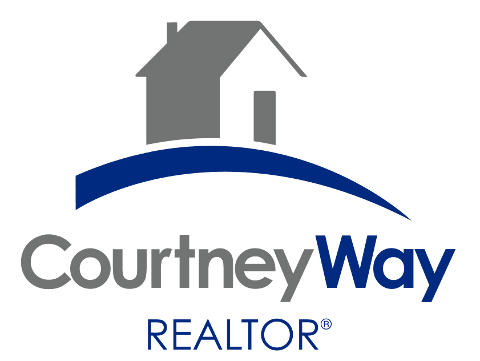 When it comes to buying or selling your home YOU WANT COURTNEY WAY ON YOUR SIDE. She is professional, knowledgeable and committed to the process of buying/selling your house for the right price. She was one of the best decisions we made in our process. She is experienced and her experience comes through with the little surprises that can occur in the home buying and selling process. We are very grateful to her for all of her hard work on getting us our new home. Courtney was such a pleasure to work with. Always professional and always willing to answer all of my MANY questions. Her response time to my emails and phone calls was awesome. Thank you, Courtney for all you did for me. I recommend you to all of my friends! When I began my search for a new home I was lucky to find Courtney. As a demanding client, I research my options, expect a good value and want a beautiful home. Even more important, I want the reassurance and support from a professional that I am making a good decision. Knowledgeable, thorough, personable and patient, I found someone who was not only as equally discerning as I was, but also someone willing to work tirelessly to find me just the right home. I love my new home and the pleasure I had working with Courtney! Courtney went above and beyond what most real estate agents would have done. Before knowing anything about us, Courtney gave us a tour of countless areas of Sacramento and provided us insight into each and every neighborhood. My wife and I were rookies to this process, and Courtney ensured that all of our questions were answered. She was always more than patient with us, through the ups and downs of a difficult market, and eventually helped us land our dream first home! We can't thank her enough! Courtney is our agent for my mother’s home. She really made the difference. My mom could not be happier, and that’s hard to do! :) She sent reports (without us even asking) so we could compare and make the best decision. She really knows the industry as she answered all our questions regarding inspections etc. She gave us an honest straightforward answer, even when the answer was not always what we wanted to hear. I like that about her - she steered us straight and gave us the bright side, but didn’t sugar coat it! We used Courtney to find us our next home in Roseville. Her tenacity in the process was superb and she managed to broker a deal beyond what we thougt was possible. However, my husband lost his job the day before the offer was made. As a result, we had to sell our home in a depressed market several months later. It turns out our home was worth less that what we bought it for, so a short sale was our only option. What has been described as long, frustrating process was made simple and easy because of Courtney's diligence. Our home sold after 4 months of negotiations with the lender, which is unheard of! She worked extremely hard to sell our home in this market under less than favorable conditions. We highly recommend her for her knowledge and drive and intend to use her again when we buy our next home in a few years! Courtney is the reason we bought our home. As first-time home buyers we had quite a few salespeople treat us with indifference when they found out this was our first home purchase. Courtney was the exact opposite and worked with us to find a better home than we could have ever imagined. After 8 years of living in our house, we still can't believe we live is such a wonderful house and neighborhood. Thank you, Courtney! Courtney was actually a customer of my husband. He mentioned that we were first time homebuyers in the market and she gave him her card just to help us get the process started. I knew she was the right person when after we spoke on the phone she asked so many detailed questions about our wants and needs -and believe me we were pretty specific. She began sending me listings based on our specific criteria through her website (which is amazing by the way) and not just any listing so she could make a sale. Her methods were so helpful that we found our home the first time out with her looking at listings! We were so excited. Throughout the process she was so supportive and knowledgeable. Her network of contacts in the industry helped us get our home the way we wanted it with an amazing loan. When things got bogged up during escrow, Courtney went to bat for us and got the ball rolling again. When I got worried, Courtney listened, reassured, and found a way to make it happen. I reccomend Courtney to EVERYONE that mentions they are in the market or looking to sell. She is AMAZING! Thanks to Courtney we were able to realize our dream of homeownership. Excellent Agent! Enthusiastic, Knowledgeable, Organized! Our decision to purchase a new home wasn't an easy one. We were originally told by our good friends, who also happened to be our neighbors, that they had decided to start looking for a new place better suited to their growing family and were using Courtney, to help them in their search. Since we are empty nesters, we decided to throw out some feelers to see if now would be a good time for us to purchase the home we wanted, after living in the home we needed while raising our kids. Courtney not only helped us find our dream home in a great area, with EVERY amenity we wanted, she guided us through the entire process, including encouraging our lender to stay on task (it was a VA guaranteed loan). We've been in our house for four months now and couldn't be happier with our decision! Courtney is fantastic! My husband and I tried to rent his house out on our own with no success. It only took Courtney 1 week to find renters for us. We couldn't be happier! She is an extremely hard-worker and will do what is best for her clients. You absolutely should use Courtney for any real estate needs!! Courtney is an extremely dedicated and thorough real estate agent who invests herself fully in finding what her clients need. My husband and I are keeping our eyes on the market -- including the value of our neighborhood -- and Courtney sends us valuable information about where we're looking to go and tips on how to increase the value of our own home. She's always available to answer any questions or concerns we have, and makes the home-hunting process less stressful! Courtney is dedicated, hard-working, enthusiastic, and always puts her client's needs first. She truly loves her job and it shows! My husband and I are looking to buy a home in the near future, and Courtney has been very helpful providing us information on current market trends as well as what's going on in my neighborhood. She answers questions promptly and provides valuable information. She's a pleasure to work with and I would HIGHLY recommend her! !